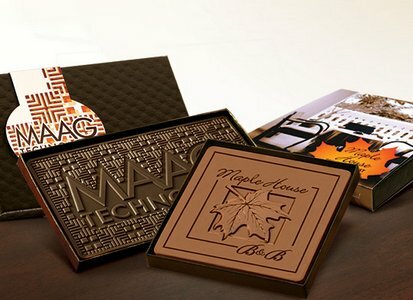 Chocolate candy bar engraved with your logo or custom design and packaged in a box with a clear lid. Your choice of milk or dark Belgian chocolate. The 4 in x 4 in chocolate bar is Total wt 2 oz.